Below is a full explanation on how to find LG part numbers. 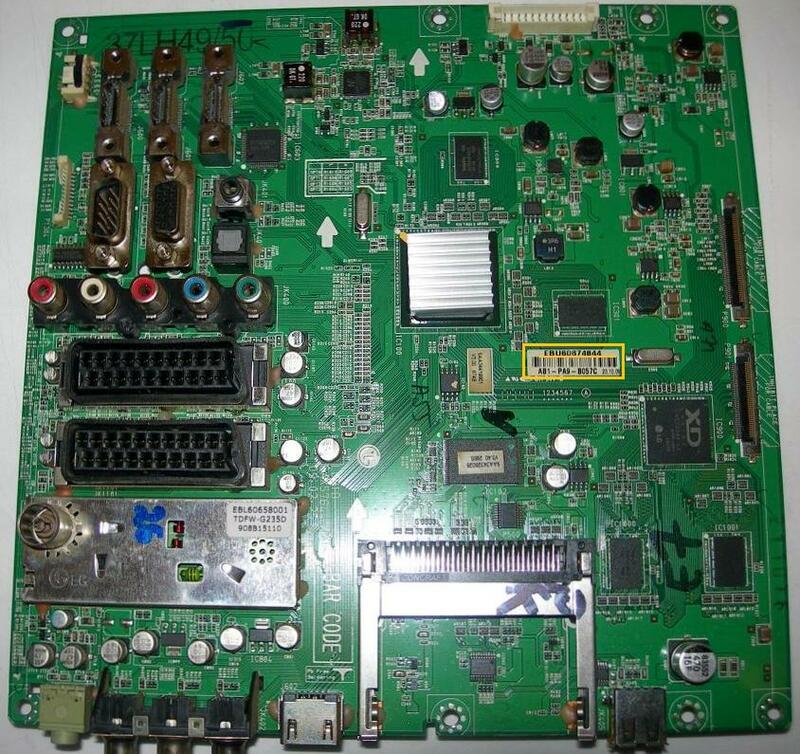 LG Main Boards; When looking for your part number upon an LG Main Board, the significant part numbers of the part are as follow; EBT, EBU, EBR. These numbers usually appear on a white sticker label on the board of which also contains a barcode. Many customers make the mistake of finding the 'EAX' number on the board and searching with that number, however this isn't the ACTUAL P/N this is just the blank board number which is more than likely visible on far more boards than just the individual part you're after. LG Power Supplies; Finding your LG PSU part number can be tricky, however when you know where to look it's a piece of cake. The number you need to be looking for when finding it is an 'EAY' number, this is usually printed onto the PCB itself, however can also be hard to find when located within a white sticker label in the mist of a other irrelevant bunch of numbers and letters. Locate the barcode sticker and you will see a sequence of numbers and letters, after the last letter usually 4-5 digits in make a note of the next 8 digits as shown in our photo, simply pop EAY in front of these 8 digits and you have your part number. If you're struggling to locate the 'EAY' number then there is a chance the P/N you're after may be a '6870' number. LG Tcon Boards; Finding the two relevant numbers on your LG tcon maybe slighlty eye straining, but it's not so difficult once you know what you're looking for. 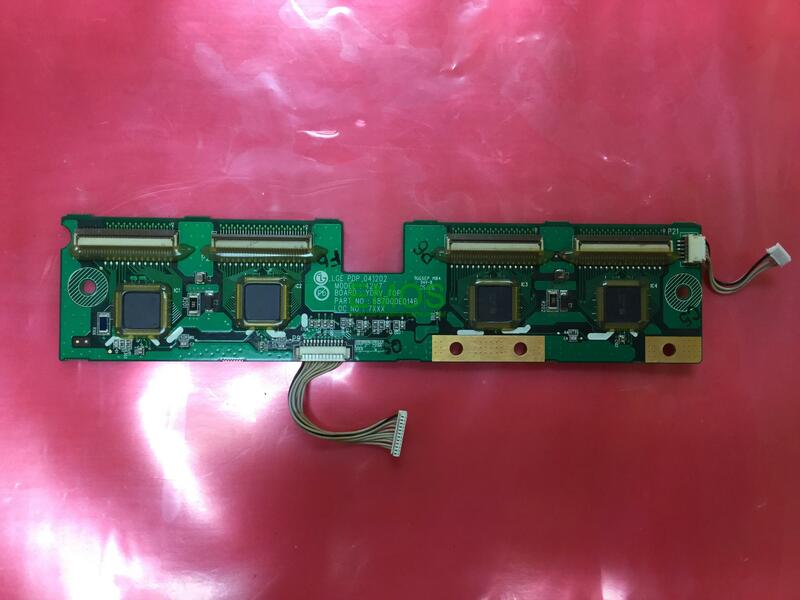 There will be two numbers as in most cases with TV PCB's, one of which is just a blank board number and the other the actual P/N which will guarantee compatability if it matches. On the LG tcons the blank board number is the number I first recommend finding if searching on our website, once you've done this then locate the (in most cases) white box with black printer numbers/ digits within it (see below to highlighted area). When you've found the numbers and digits you must then make out the actual Part Number from that. You do this by taking the first four numbers on the bottom row of the box and the ending letter see as followed: (The part number would be 6871L-3403C). 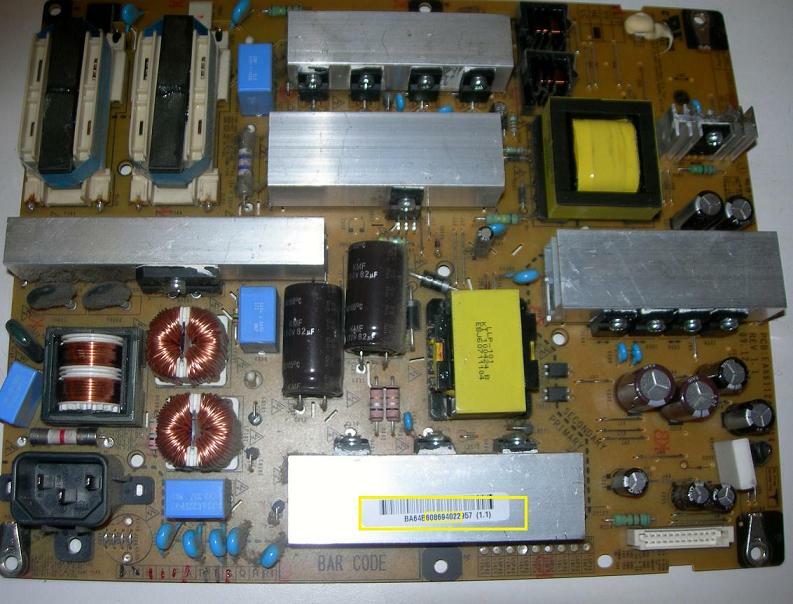 LG-Philips Inverter Boards; The number to look out for on your LG-Philips, '6632L-' if you match this number the board will work as a replacement with your set.